Advertising Age recently published their B-to-B Marketing Fact Pack. They describe it as an essential tool to navigate the b-to-b space. I would describe it as 30 pages of critical information on b-to-b advertising spending trends and the 25 marketers who spend the most on b-to-b. They quote a recent study by Forrester Research that found over half of b-to-b marketers plan to increase their marketing budgets this year by an average of 6%. It’s no surprise that digital remains a top priority for b-to-b marketers. Just under half (48%) expect to increase their digital marketing spend this year. Perhaps the most impressive statistic in the Fact Pack is about content marketing. More content is being created across all channels to help marketers reach their customers and prospects with relevant, meaningful content. Many channels used in b-to-b parallel b-to-c marketing efforts. These include websites, social media and mobile channels. 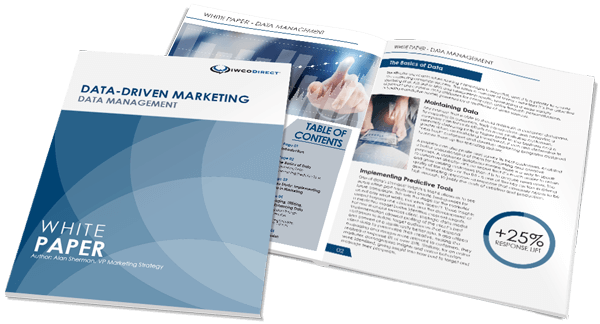 However, white papers are proving to be an effective channel for b-to-b marketers, while not often seen in consumer marketing efforts. Since 30% of b-to-b marketers expect to increase their direct marketing spend, it makes perfect sense that data analytics spending is expected to increase by 38%. The largest decrease in spending by b-to-b marketers is in traditional advertising; 30% expect to decrease their spend while only 8% plan to increase traditional advertising. The biggest surprise on the list for me is John Deere. The tractor and lawn mower manufacturer is ranked 21. They’ve been increasing their b-to-b advertising to reach commercial markets that include agriculture, construction and professional golf courses. Their total b-to-b advertising spending is estimated to be $22 million. While John Deere’s appearance on the top 25 list was a surprise, the top social media channel for b-to-b seemed obvious. 94% of b-to-b marketers identified LinkedIn as their top social media channel. Twitter was close behind with 88% and Facebook rounded out the top three channels at 84%. Lots of numbers to absorb on b-to-b advertising spending, but it was well worth the time to read from cover to cover. If you have questions about b-to-b marketing, don’t hesitate to send them my way.